Are you looking for Bridgeport condos for sale in Ocean City NJ? Located directly on the bay and close to the 9th St. bridge/causeway for easy access on and off the island. The Bridgeport consists of two and three bedroom condos all with two bathrooms. 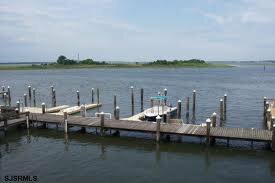 Amenities includes deck/porch area, boat slips, storage area, and more. Two car assigned parking and pets are allowed. Great views! A must see.